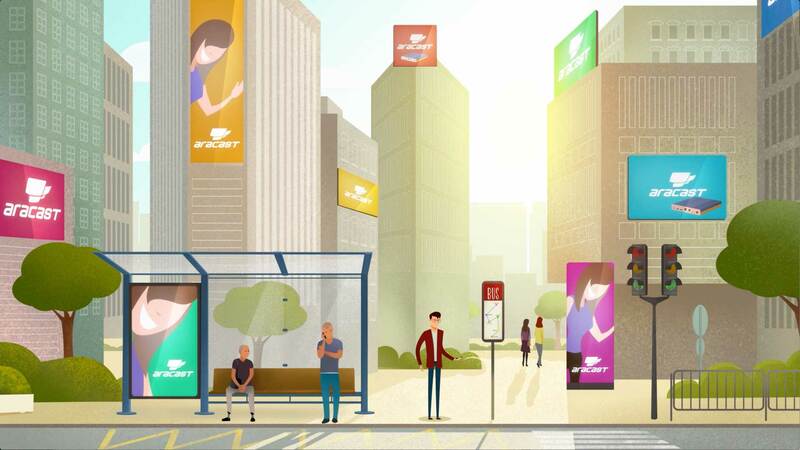 Supported by a highly qualified engineering team, aracast is the most flexible and easy-to-use digital signage tool on the market, rising as the best partner to meet the most demanding requirements. 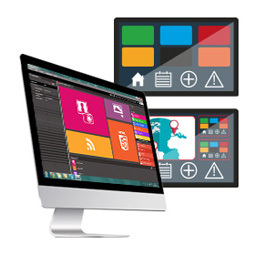 Aracast Designer, an enhanced and easy-to-use PC-based software application available for Linux, Mac and Windows. 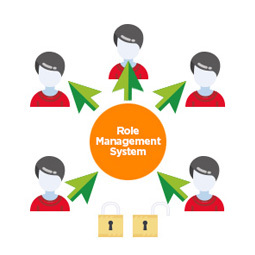 Perform network administration functions and assign user roles and permissions with aracast Role Management System (RMS). Monitor your digital signage network getting real-time snapshots from the running templates with the optional web service araMonitoring. 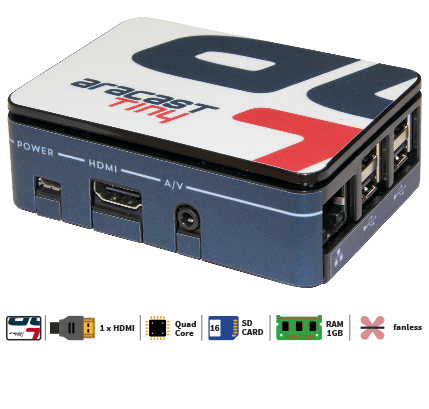 The aracast Tiny is an ultra-compact form factor player built to offer an amazing reliability in digital signage applications where a high level of network management is required but hardware performance is not so demanding. aracast Tiny player is Full HD 1080p ready (fullscreen) and supports playback of video in lower resolution combined with other contents such as photos, texts or slideshows. 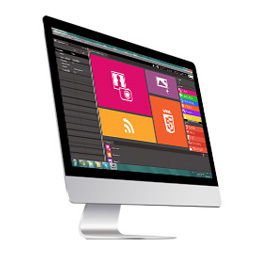 The aracast Dual player is a robust media player designed to ensure a first-rate performance in any Digital Signage application. With a dual core processor, 2GB RAM and an astonishing performance under 24/7 conditions, the aracast Dual player is ready to meet 70-80% of Digital Signage projects requirements. Aracast Dual player HDMI outputs are HD 720p ready and allow to playback layouts combining simultaneous content such as photo slideshows, texts, RSS feeds, PDF files and much more. The aracast HD player is a high performance player built to be dependable in the roughest Digital Signage applications. Thanks to its solid-state disk and fanless design this player can handle vibrations and shocks and it’s ready to be installed in tough environments, even in moving vehicles. With a Quad Core processor and 4GB of RAM, the aracast HD player is ready to meet the most demanding requirements with an incredible performance. aracast HD player HDMI outputs are HD 1080p ready and allow to playback layouts combining video with other content such as photo slideshows, texts, RSS feeds, PDF files and much more. 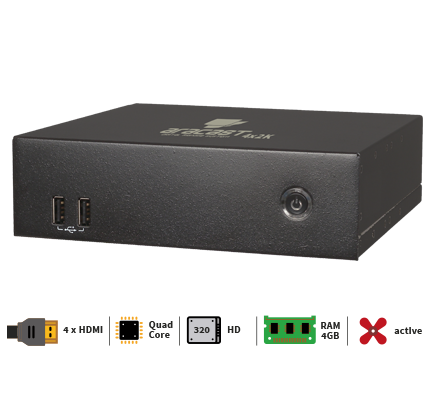 The aracast 4K player is a high-end small form factor digital signage player with an incredible performance and low consumption which allows you to playback UHD 4K digital signage content. 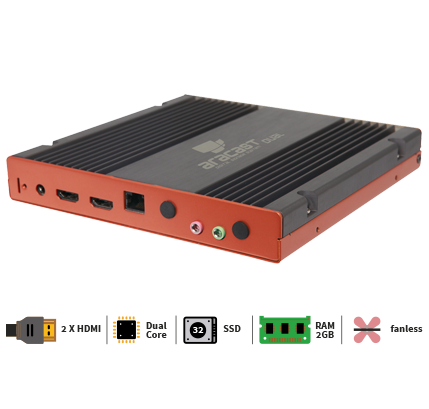 Integrating the latest 4th generation Intel i7 processor and 4GB of RAM, the aracast 4K player is ready to meet the requirements of the most demanding digital signage applications, supporting extended desktop for up to three independent Full HD displays and being able to playback layouts combining 4K video with other content simultaneously. 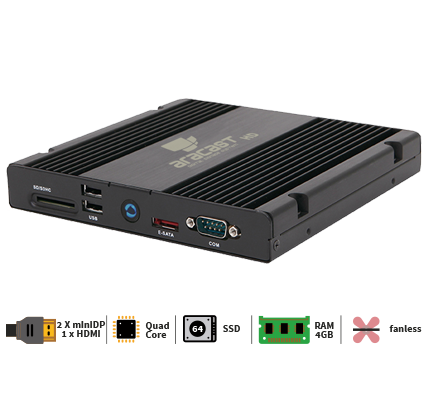 The aracast 4x2K player is a compact and powerful digital signage player built to combine its 4 independent HDMI outputs to power video walls and multi-display solutions ensuring an excellent performance. 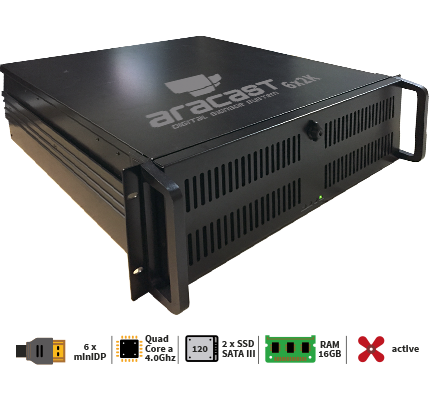 Its versatile design provides the aracast 4x2K player with support for both stretched and extended desktop for up to four displays, making it perfect for application in 4×1 Menu Boards or 2×2 video walls allowing to playback all contents supported by aracast designer simultaneously. Aracast 6x2K is a latest generation player with 6 synchronized Full HD outputs that allows you to make presentations in 3×3 videowalls or in 12K ultrawide resolution (11520x1080p). 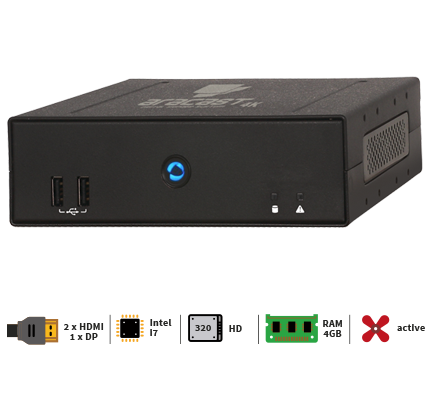 Equipped with a 4.0Ghz Quad Core processor and 16GB RAM, the 6x2K Aracast player is ready to meet the requirements of the most demanding Digital Signage applications in any environment, whether corporate, informational or advertising.